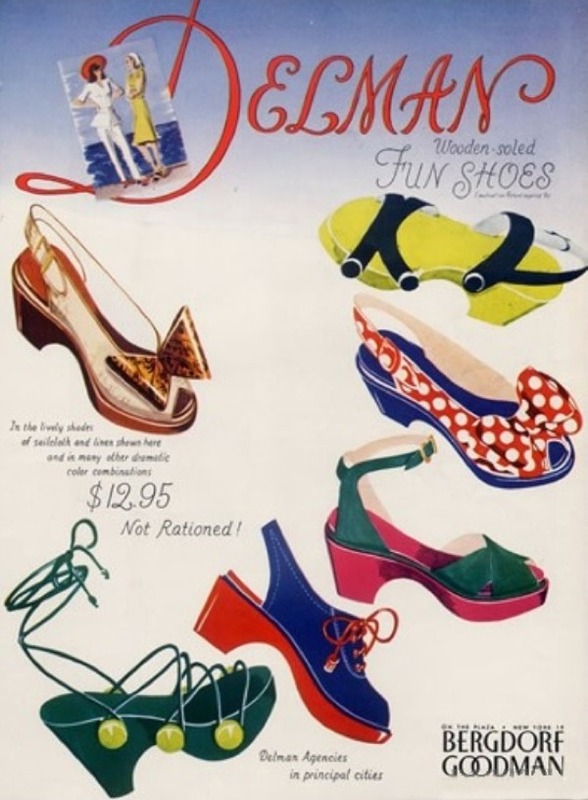 It is an object of the present invention to provide articles of footwear which can be constructed of non­critical materials such as wood, fabric and artificial leather, and which are nevertheless comfortable, durable and attractive. 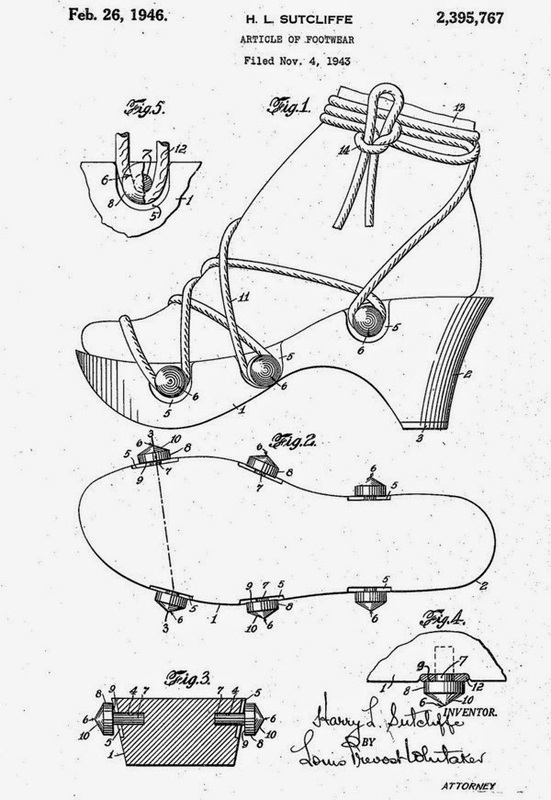 It has heretofore been proposed to form the soles of shoes of wood, glass plastic and other materials, providing a relatively thick rigid sole. Women wearing unrationed shoe soles during the war, 1943. Seen it before? 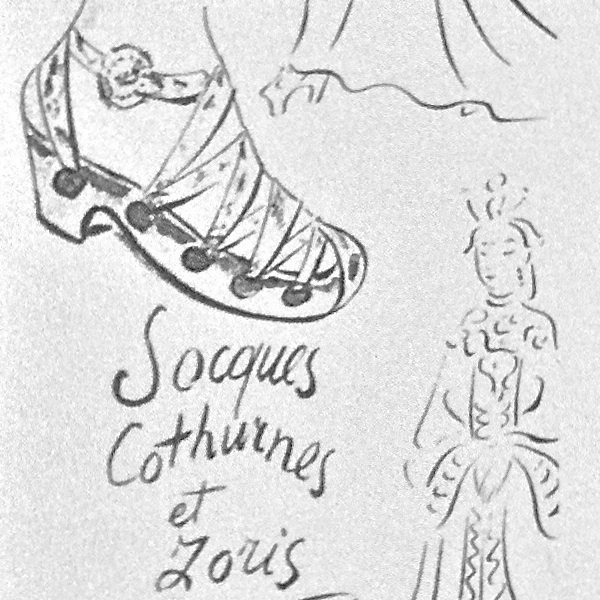 You might from EVE'S JOURNAL (July 1938) or Vogue France (February 1938). Regrettably no actual sandal can be found from this Perugia design. 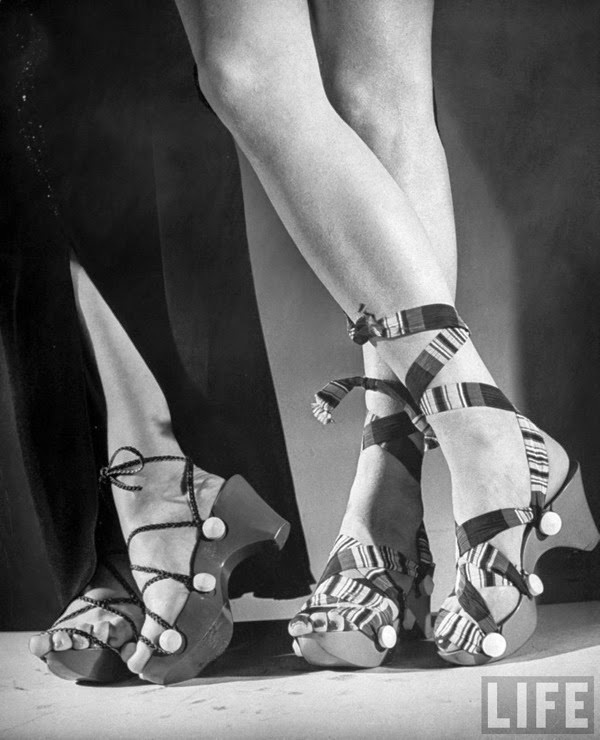 Andre Perugia's thick-soled sandals shown throughout Schiaparelli's collection. To my conservative taste, they look extraordinary with the day clothes, but in gold or colored kid for evening, they're exotic and quite lovely especially the bright-green ones worn with a purple dress and pink surah jacket that has Chinese-looking embroidery in bright green and purple. And in purple kid they're the perfect complement to a Chinese house coat of deep , purplish-blue surah embroidered in red, green, and gold.